Neocate, a branch of Nutricia North America, provides medical formulas for children and infants. Neocate is a consumer-facing brand of elemental, amino-acid based medical formula for babies with food allergies. For many Neocate families, finding nutritional items for food-allergic children is no easy task as it requires parents to track their children’s diets, their outbreaks, and overall health in order to assess the progress that their little one is making. Parents may often feel confused, frustrated and angry. To support them, Neocate set out to to develop an online community for parents in the United States, where they might seek advice, learn about the Neocate formula, and be a source of hope and support to each other. Engage and support a community of parents and caregivers raising food-allergic children by facilitating connections with Neocate specialists and each other. 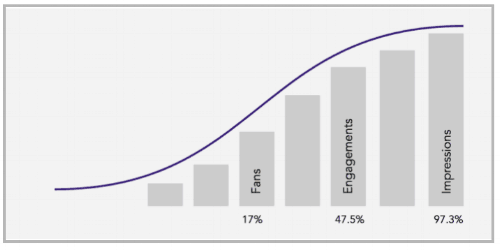 Proof Strategies analyzed Facebook metrics to identify the target audience and their interests. The research confirmed that the target audience is mostly moms between the ages of 25-34 who have children with food and milk allergies. With this information at hand, Proof developed goals to improve community relations. Through meetings and calls with the client, we were able to gauge customer feedback both on social media and through customer service phone calls. This helped us understand the audience’s perspective when dealing with allergies, ultimately shaping the social media content and approved responses for concerned parents. After auditing and meeting with the client, Proof identified that the client’s goal was to provide high quality, customer service to Neocate families. The strategy for accomplishing this task was to execute a full-fledged community relations campaign on Facebook. Garnered more than 2.8 million impressions (97.3% increase from the previous year). Reached over one million people. Garnered 13,298 engagements (47.5% increase from the previous year). Increased the number of fans to 11,482 (17% increase from the previous year). Launched ads which reached 32,508 people and earned 49,001 impressions.